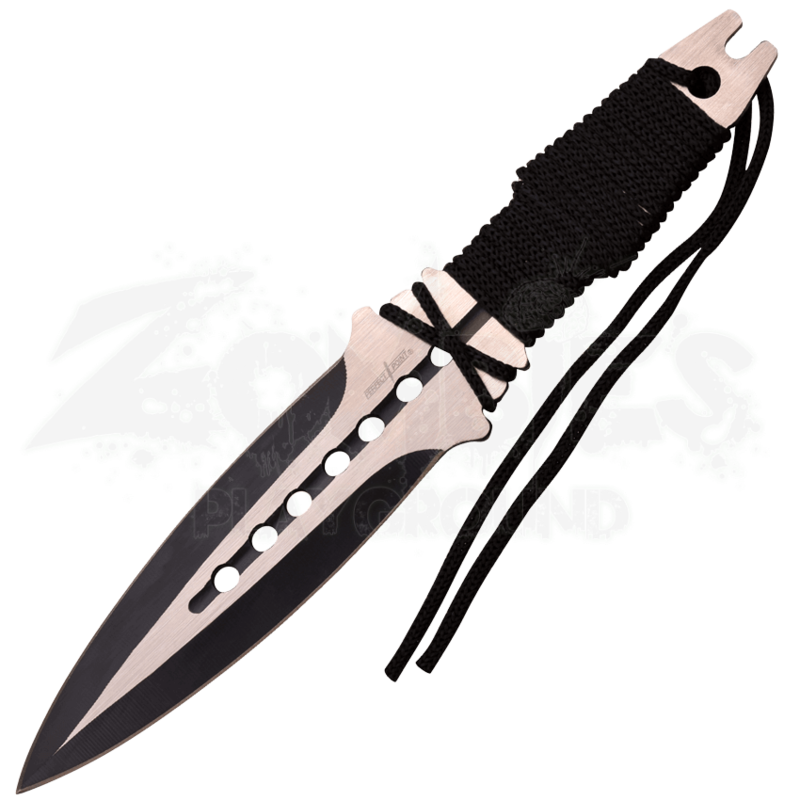 Practice your throwing skills in style with the help of this two-tone throwing knife set. The Three Piece Black Cord Thrower Set features a striking design and quality construction that will make these knives fast favorites. These stainless steel throwers show off a black finish along the edges of the blades, contrasting the silver gleam elsewhere. Each of the spear point blades features a handle wrapped in black cord, as well, to increase the comfort of the grip. 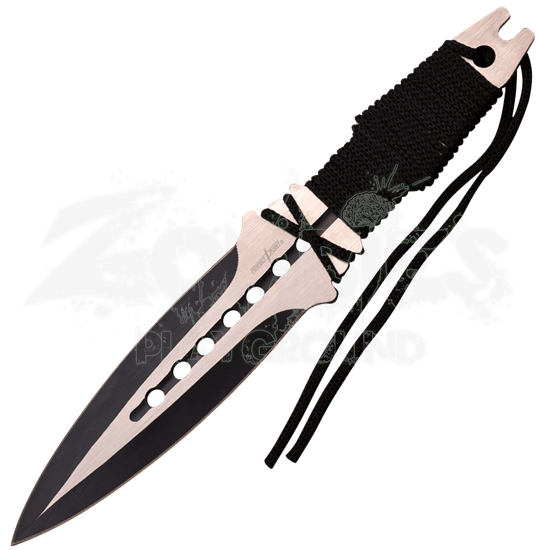 These competition-quality throwing knives come with a black nylon sheath for ease of transport and storage.